I absolutely LOVE my Cambridge Satchel. My mum surprised me at Christmas with this little beauty. I was so happy because I had wanted one for so long. Sadly I haven't been able to use it properly yet as I haven't been in school because of my gallstones! I am sure it will get its use in September when I start college though! The quality of the satchel is truly divine and I honestly cannot find a fault with it at all. When I used it on Boxing Day (2013) it carried a few books, a bottle of water, my purse, phone and small bits of makeup with complete ease. The leather is sturdy and versatile and matches everything in my wardrobe. My favourite outfit to wear it with is probably an over-sized smock dress, sneakers or flatforms and a blazer coat. I will be posting an outfit post very soon with me using this beautiful bag! 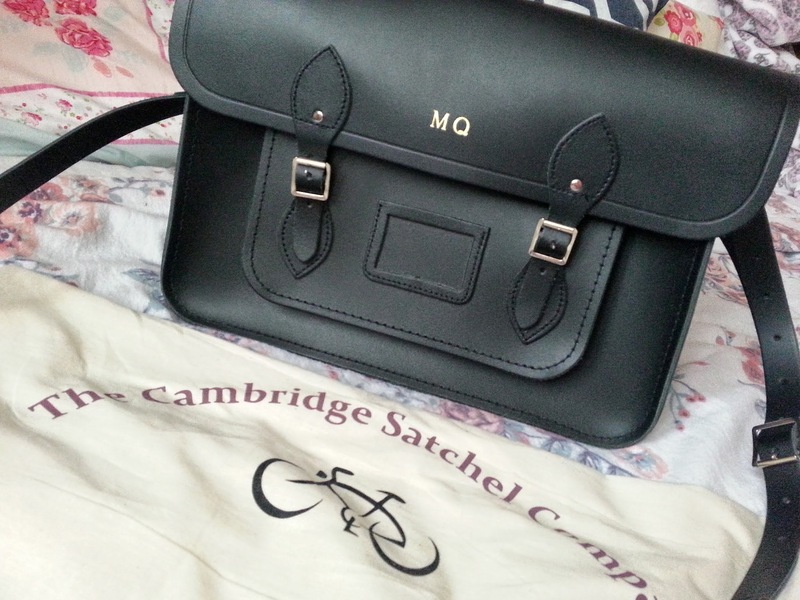 I highly recommend The Cambridge Satchel Company because their products are simply divine. I cannot wait until I can afford another. My next purchase will probably be a 11" Classic Vintage in Tan. 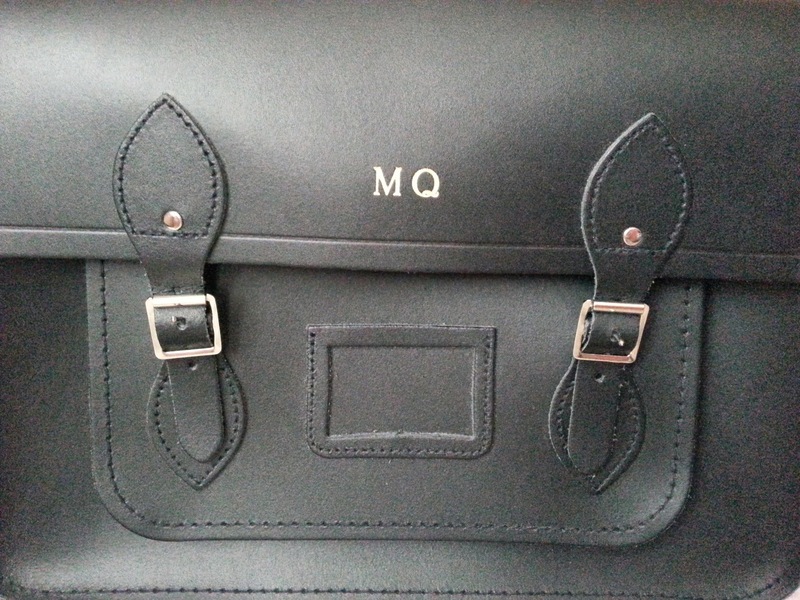 My Cambridge Satchel is a Classic Vintage 15" in Black with my initials embossed in gold.